It’s a staple of summer, as every kid knows, and no picnic’s complete without this sweet summer treat! It’s watermelon of course! 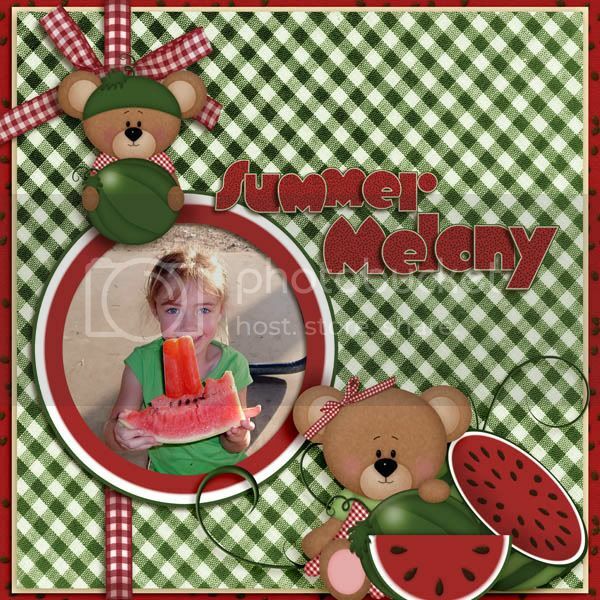 And my kit Summer Melony is all about this delicious juicy fruit. 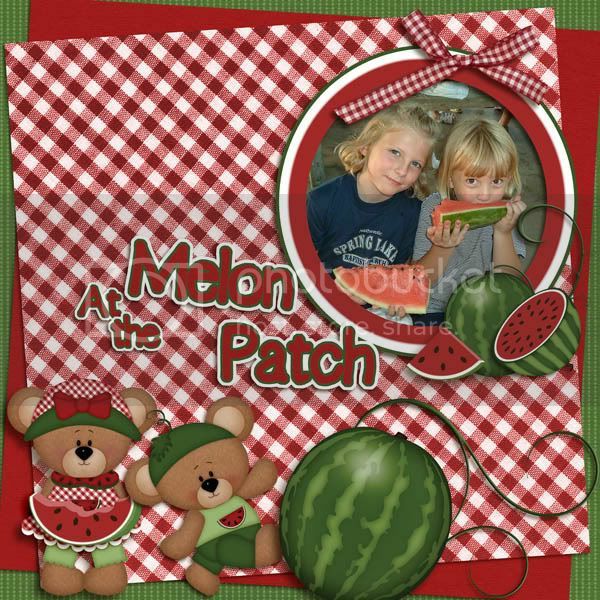 With red checkered cloths and twirly green vines, costumed characters and even a melon-themed alpha, you’ll find just what you need in this kit to decorate your favorite summertime photos. 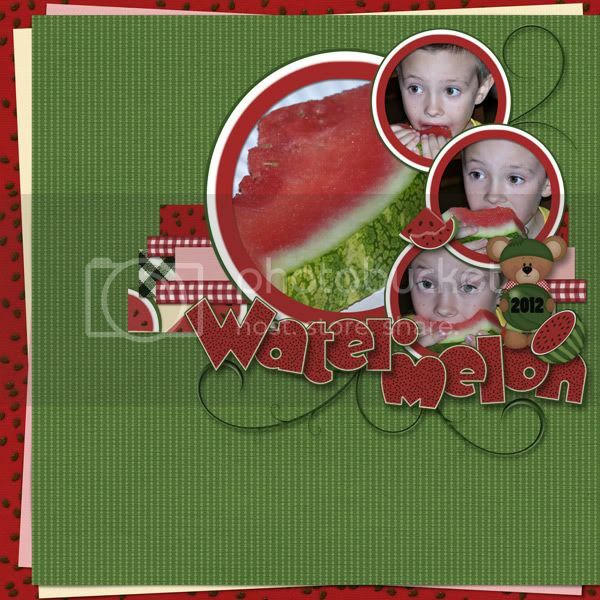 The kit includes 12 papers (12 x 12 in), 15 unique elements and a full watermelon alpha (upper and lower case letters, numbers and punctuation – everything created at 300 dpi.